I heard about the book The Richest Man In Babylon by George S. Clason but I haven’t read it until now. It’s a fun little book. Two middle class guys in Babylonian times were wondering how come they didn’t have money although they worked hard in their trades. They went to ask the richest man in Babylon what the secret was. It turned out to be saving 10% of one’s income and loaning it out to earn interest. The stock market didn’t exist back then. "Gold increaseth rapidly when making reasonable earnings as thou wilt see from the following: A farmer, when his first son was born, took ten pieces of silver to a money lender and asked him to keep it on rental for his son until he became twenty years of age. This the money lender did, and agreed the rental should be one-fourth of its value each four years. The farmer asked, because this sum he had set aside as belonging to his son, that the rental be added to the principal." The farmer bought a four-year CD with interest reinvestment and auto-renewal. 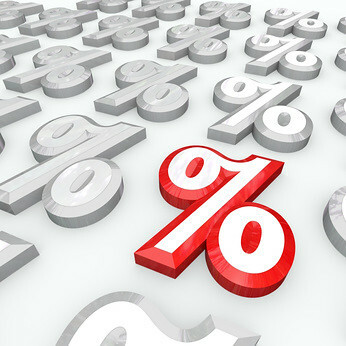 The interest rate at 25% for each 4 years came out to 5.7% per year. Because Babylon was presumably under the gold standard, that was also a real interest rate, with no inflation. At that rate no wonder gold would multiply rapidly. When the farmer’s son was 20 years old, the 10 pieces of silver would turn into 30. If the said farmer does the same today in a four-year CD that loses 1% to inflation every year … Never mind. The farmer keeps the silver in his bag. For further reading on ancient finance, browse through William J Bernstein’s THE BIRTH OF PLENTY. The book states that the interest rate for a loan of silver in Sumer from 3000 B.C. to 1900 B.C. was 20%. A loan of barley during the same period was 33%. Ancient times also punished debtors harshly for default. Ancient Greece punished default with slavery. Ancient Rome, which saw interest rates as low as 4% in 100-200AD, could still seize the debtor’s whole estate and sometimes jailed the debtor for failure to repay a loan. Bernstein blames these harsh conditions for stifling innovation, pointing out that entrepreneurs are better off today raising funds through modern capital markets (stocks) than they were under the harsh loan terms of yesteryear. Thank you J for the book recommendation. I agree a low interest rate is great for people who take risks with other people’s money. Interesting. I’d chalk it up to a risk premium (no FDIC insurance, after all) except that I would think debtor’s prison (and/or the threat of slavery) would be quite effective at discouraging default.